Fundraiser by SJ Rance-Riley : Fanny Cornforth Remembered. We have added some rewards for Team #RememberFanny supporters! Those who contribute £5 or more to the campaign will receive a Team #RememberFanny badge. Donate £20 or more, and you will not only get a badge, but also a copy of Beneath the Water Tower, the illustrated book telling the story of Graylingwell Hospital, Fanny's final resting place. For those who donate £50 or more to the campaign, you will receive a copy of Stunner, Fanny's biography, signed by the author Kirsty Stonell Walker - plus a #RememberFanny badge! In early 2015, the National Archives publically released the Lunacy Patients Admission Registers. This led to several researchers discovering the last (and until then unknown) whereabouts of Pre-Raphaelite model and muse Fanny Cornforth. Fanny was traced by her birth name of Sarah Hughes to the West Sussex County Asylum, also known as Graylingwell Hospital, in Chichester. Fanny died in Graylingwell on February 24, 1909 and was buried in an unmarked paupers grave in Chichester Cemetery. The plot has been identified and the goal of this fundraising drive is to raise money to commission a fitting memorial to Fanny and all that this incredible woman achieved in her life. 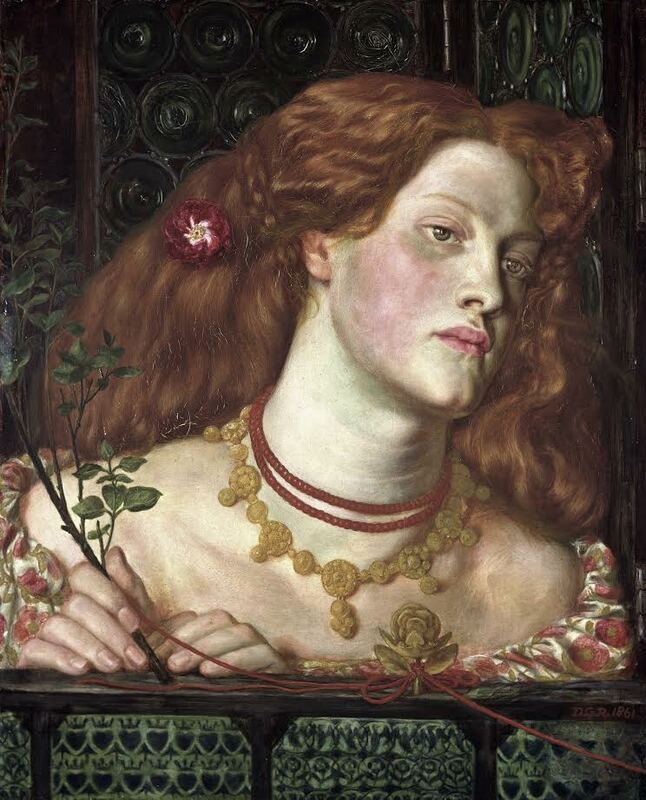 To many people, Fanny Cornforth is the face of Pre-Raphaelite art and she graces gallery walls and chocolate boxes alike: a testament to her enduring popularity. 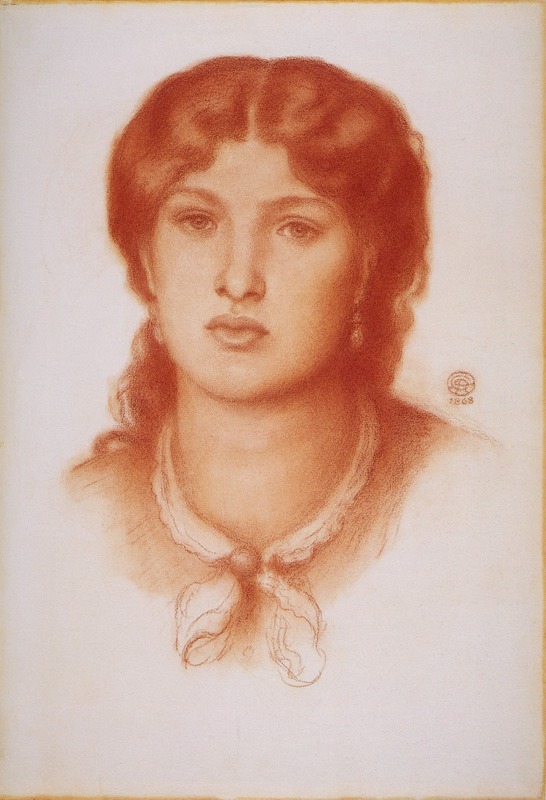 Fanny inspired not only famed artist Dante Gabriel Rossetti, but legions of fans and admirers across the world. We hope you will join us by making a pledge in order to help fund a tribute to Fanny – a way of showing our thanks and letting her know she has not been forgotten. We hope to commission a memorial to be installed with a commemoration ceremony in Chichester Cemetery on April 9, 2017. Any additional funds raised will be used to commission a memorial to her at Graylingwell Chapel. This initiative has been endorsed by the Pre-Raphaelite Sisterhood. Please help us to #RememberFanny. Thank you for your patience in waiting for updates on the project. We’re still here - we have undergone some changes at #RememberFanny HQ, and now we’re ready to crack on with the next stage. We now have a project webpage, which you can find at rememberfanny.wordpress.com. We have also started working with a sculptor to start to create a fitting memorial to Fanny Cornforth. We’re in discussions about match funding and the possibility of hosting a one day ‘Fanny Festival’. This festival, which will celebrate the installation of the #RememberFanny memorial, will hopefully be held in September 2018. Watch this space for more details, and we at #RememberFanny HQ wish you a very Merry Christmas! Thank you for your ongoing support. All of the rewards have now been sent out. Plpease do let us know if you have received yours. A nice tweet with the #RemeberFanny hashtag would be great. More news coming at the end of the month. The meetings and plans have come together and we move into the next phase - talking to the artist who will be commissioned to make Fanny Cornforth's memorial. We are delighted to announce that our fundraising target for the #RememberFanny campaign has been reached and exceeded! Thank you so much to all of the friends, supporters & fans of Fanny Cornforth across the world who contributed money, support and time to this endeavour. What's next? We have some meetings lined up to see if we can attract some additional funds to the cause from various organisations and will report back to you in due course. We will leave this gofundme page open as it seems to be the easiest way to communicate the project updates and news, and should any other Fanny fans wish to make donations, they can still do so. We still have some rewards, books & badges, to send out and these will be on their way to you this week. Please stay tuned for updates and details, and... thank you all so very much for contributing to the success of this campaign. We couldn't have done any of this without the generosity of each of you. Thank you! #RememberFanny A flurry of donations in the past day. TY! £130 away from our FINAL target. PlsRT! What an amazing response and we are incredibly grateful to everyone! As noted yesterday, we are in the very final days of the campaign and winding things down. It seems such a shame not to meet our target of £2,200 as everyone is really pulling for the campaign to succeed in this. Any help spreading the word during our last few days will surely make all the difference and allow us to move forward with a healthy sum toward Fanny's memorial. We hope to have exciting news to report to you all next week and bring everyone right up to date on the #RememberFanny memorial plan. Thank you so very much everyone - we couldn't have done any of this without you! If you get a lot more £sss ... maybe a bench at Steynning where Fanny was born?? Just a thought. The wordpress website does not exist. I received no book and no badge. But I'm pleased to see this project is still alive. I haven't received my badge yet either, are they still being mailed out? Donate £5 or more and receive your Team #RememberFanny badge, featuring Fanny in Bocca Baciata! 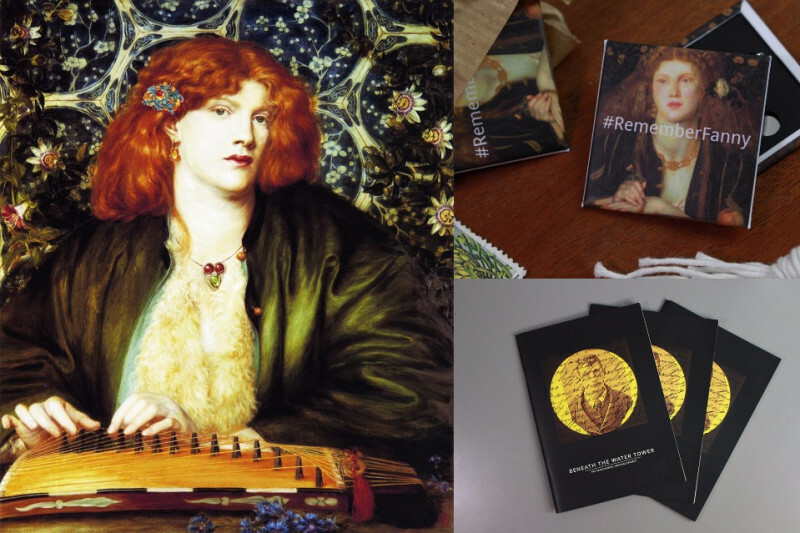 Donate £50 or more to the campaign and receive a copy of Stunner, Fanny's biography, signed by author Kirsty Stonell Walker - plus a #RememberFanny badge! I appreciate what you are doing - thank you.